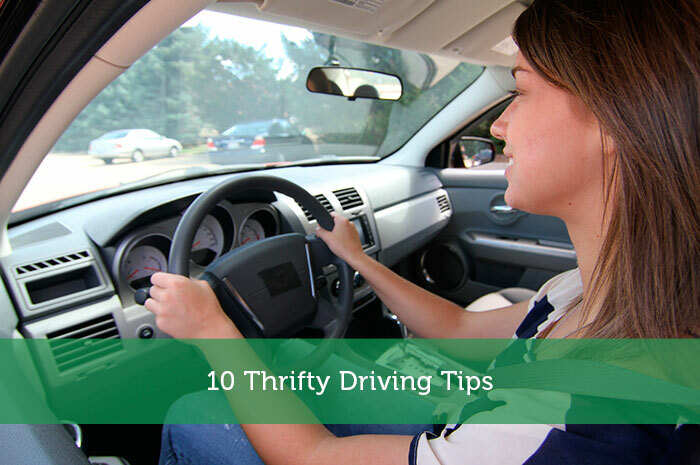 The following is a guest post about 10 thrifty driving tips. If interested in submitting a guest post please read my guest post policy and then contact me. Getting a used car is not the same as settling for an inferior driving experience. For point of fact, there are sellers of used cars out there that have models built for efficiency and they are still in top condition. This tip applies for both new cars and used cars. Look for cars that are built to be cost-effective. This may mean the engine, the batteries, the hybrid nature of the vehicle, or being powered entirely by electricity. Paying more upfront for an efficient car may mean savings in the long run. There are a lot of tips for reducing driving costs out there and many of them will encourage the regular maintenance of vehicles. If you can do the maintenance yourself, this would be a huge plus. You’re better off washing your car yourself. Not only do you save more money, you also get a better appreciation of your vehicle. Plus a bit of exercise. Coasting is like driving for free. You hardly use any energy and yet you still move. Of course, you should only apply this method when it’s safe and when you won’t cause inconvenience. Keeping that in mind, try coasting when you can and start filling up less often. If you don’t step on that brake pad as often, then you don’t need to keep accelerating as often. This might sound easy and obvious enough, but the fact still remains that a lot of people brake far too often when it’s not even needed. Everyone knows that a lighter load means less fuel consumed, right? But for some reason, people still keep loading up whatever they can, as often as they can. Ease up and you save more fuel. This might contradict the tip above, but there are actually exceptions to that rule. One of them is when you absolutely have to transport a lot of things. Trying your best to make it in only a single trip really helps. People hate to plan, but if you want to cut down on your fuel costs, you have to do it. One of the things to consider is traffic flow and schedules for traffic jams. If it’s more convenient to wake up early to go to work than to sit in traffic for hours, wake up early. Plenty of sources are saying the same thing when it comes to driving responsibly and efficiently. Among them is driving with patience and ease. Otherwise, you lose out on saving more fuel when your vehicle has to fight drag and aerodynamic obstacles. I need to start washing my own car. I dread to think how much I’ve paid others to do something simple which can do myself. I actually doubled my car’s MPG rating by following tips like these. No joke. It bothers me when people complain about money and then floor it around suburbia like they have somewhere important to be. My family actually bought a secondhand car and we wash the car ourselves. It saved us a lot of cash and it makes for a good exercise and family activity as well. The kids just love making all those soap bubbles! I love driving. Driving is adventure yet so fun! I washed my scooter almost 5 times a week. It was so fun and I love it that my scooter is very clean. To save on my car expenses, I keep my tyres correctly inflated, ditch heavy clutter and unnecessary attachments, and watch my air conditioning use to reduce fuel consumption. Handy tips. I have actually started to make a note of how I am driving and really trying to conserve fuel and do many of the things you have in the article. I try to make a game of it and have less and less fuel needed to fill up the car the next week. If it’s less, i’m winning, more, i’m losing. This is great! I work in the auto industry myself, and all these points are exactly what a lot of people need to know. In my opinion, #3 is the most important. People always forget to follow up on their vehicle’s maintenance which in return ends up hurting them. My buddy drives an older model Corolla and he was complaining about his mileage. I’ve driven with him before and he is not a smooth driver, lots of over acceleration and sudden stops…the kicker is one day we’re out to lunch and he pops open the trunk. He must have had 300 pounds in dumbbells and weights back there and he was dragging them around for weeks while he was in the process of moving. Crazy. These are great tips. I also try to use cruise control whenever I’m on a highway and I’ve noticed a difference in gas mileage. Also keeping the tires properly inflated and staying on top of the car maintenance help out as well. I’d also like to add changing your own oil to the list. It’s actually not that difficult and can save you a good chunk of change every 3,000 miles! I live in NY and car wash is expensive, especially the ones done by hand (about $35!). So I do like to wash my car myself when the weather is nice. Thanks for the great tips!